You'll spend a lot of time on this screen, so it's worth understanding everything that is hiding here. Think of this lesson as spending a couple minutes sipping coffee with a tour guide, while reviewing a map of Paris. You're orienting yourself before you go off to explore the city. "Over here, we have the Eiffel Tower. Over here, is the Musée d'Orsay..." Not much detail just yet, but we're just getting oriented. First, copy a Sample Test plan to make it editable. 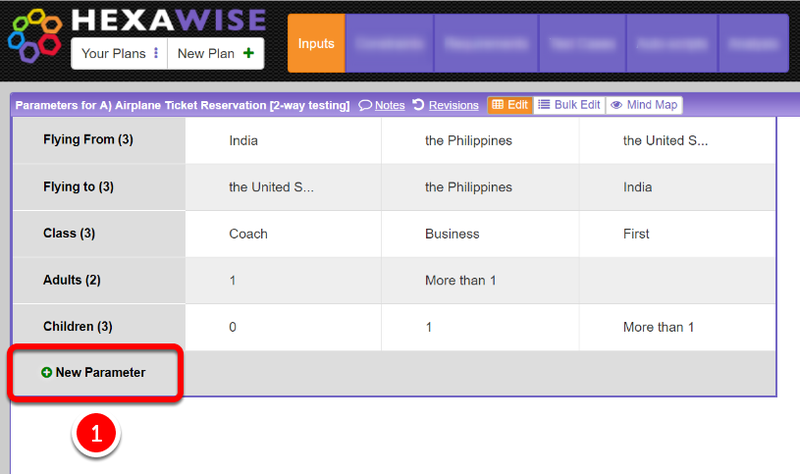 We will use the "Airplane Ticket Reservation" in this example. 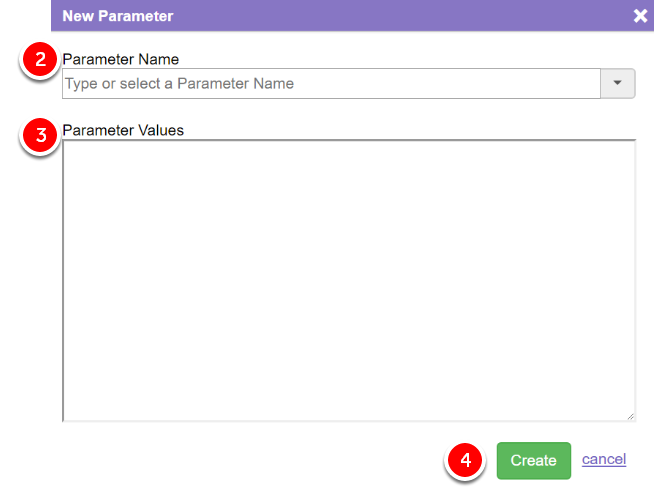 2) Enter a Parameter Name (like "Flying to") in the Parameter Name field. Your Parameters will be the "things that change" from test scenario to test scenario. 3) Type in Values for that Parameter (like "the United States" or "France") in the Values field. 4) When finished editing the Parameter and its Values, add them to your plan by clicking "Create." We'll show them to you now and explain them to you in greater detail in other Hexawise Help lessons and Hexawise Training lessons. 1) Click "Your Plans" in the top left corner of your screen. 2) Hover over a plan name. Tools will appear to the right of the name. This "branching" icon allows for value expansions. They allow for maximized variation in tests without increasing the number of tests by using general categories instead of explicit values. How do I create an "Invalid Pair" to prevent impossible to test for Values from appearing together? Never hesitate to ask questions or provide feedback to our test design experts or our user forum. 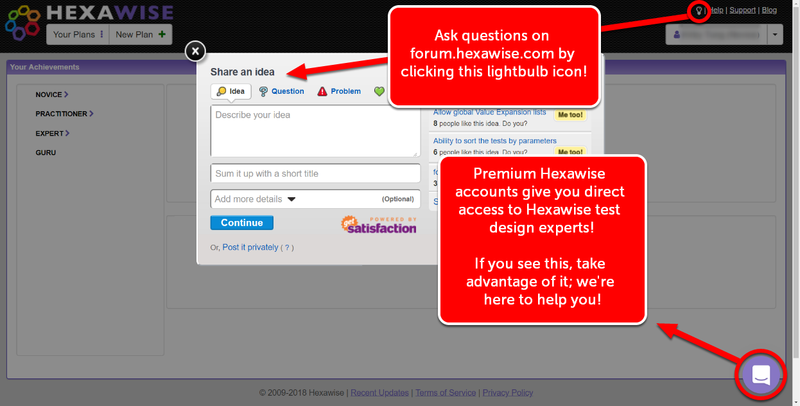 Hexawise experts are happy to help if you ever have questions!